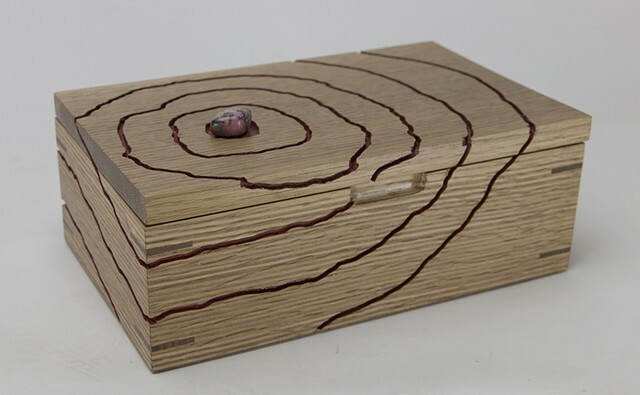 D 7" W 11" H 4"
This jewelry or keepsake box has a routed surface pattern that is painted a dark red color using milk paint. A mineral specimen also adorns the top. The bottom of the inside is covered with red velvet. Trays can be added for an additional $40.